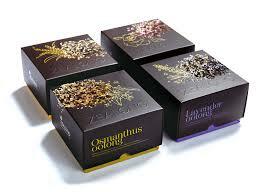 Luxury packaging is all about presentation. Ok, the argument could be made that most of packaging is presentation, right? But it's especially true when it comes to big-investment items. Fine watches, expensive jewelry boxes, unique cologne and perfume. All of these items tend to come in packaging that specifically serves to showcase the item. Jewelry presentation boxes tend to be especially ornate. But companies don't have to rest on classic, old-fashioned approaches like velvet boxes and silk cushions. As consumers seek out more unique styles, packaging has become more unique as well. Bakers twine replaces ribbons, and magnets replace clasps. Like these custom jewelry boxes we just completed for Lenny & Eva. The societal take on jewelry gifting has practically passed into the realm of satire. A hinged box, usually satin or velvet, pops open to reveal something shiny and expensive sitting on a cushion of contrasting color. The ads usually some sort of high drama, the kind of aspirational marketing that looks pretty, but is essentially unrelatable for the masses. Modern audiences don't want that kind of fantasy. They want to know where the products they choose to patronize come from, maybe even who made it. Packaging trends reflect this desire for honesty and authenticity. The boxes we made for Lenny and Eva reflect those desires. A brand designed to evolve with fresh designs seasonally while staying true to their aesthetic, we helped create jewelry boxes for them that can weather that evolution without going stale. These custom jewelry presentation pieces are wrapped in a plain textured paper and stamped with gold foil. Simple and classic, yet with a modern and unique spin that is all their own. These custom retail boxes will keep products safe from harm while promoting the Lenny and Eva brand at the same time. It's the ultimate coup for retail packaging: the customer now has two pieces which they'll keep around their home, both the jewelry and the packaging. Working with an organization on custom jewelry boxes or any personalized packaging piece lets Sunrise Packaging stretch our creative muscles. Let's see how we can help you meet your market's desires! Contact us today. 2017 has been a volatile year when it comes to healthcare, and that has repercussions on healthcare marketing as well. Just as the customer experience, or CX, has become a major factor for other businesses, healthcare has proven to be no exception. Consumers are empowered to shop for the best care and service, and they aren’t shy about letting others know when they’ve had a negative experience. Additionally, the healthcare model in the US is transitioning to one based on transparency, quality and patient satisfaction. Every change brings challenges and opportunities. DMN3 has identified some of the key marketing trends that could affect custom packaging decisions for the medical industry. One of the key factors influencing these shifts is the focus on the consumer. In previous years, doctors acted as the key decision-makers. They prescribed treatments or medications, made referrals and acted as the end-all, be-all when it came to health. Hospitals are buying up individual physician practices and forming bigger systems. While this allows them to coordinate care more efficiently for patients, it turns doctors into employees. They become part of an integrated system that has to work through channels and people. Doctors can still advocate for things, of course, but they may not make the final purchasing decision. While WebMD might convince you that you have a terrible, terminal illness every time you look up symptoms, it’s a gamechanger for healthcare marketing. Consumers can do a ton of research prior to even setting foot in a doctor’s office. They see a visit as something more akin to a collaboration than a consultation. This gives both parties responsibility for treatment. These factors support the shift originally noted in the MM&M /Ogilvy CommonHealth Healthcare Marketers Trend Report 2016. While doctors are still the primary audience for healthcare marketing, payers and consumers are increasingly targeted. These are the new decision-makers. Additionally, digital marketing and digital content is becoming more important than traditional channels. Medical device packaging and healthcare packaging is subject to a lot of requirements. Not the least of which are the requirements of a changing market. As the audience for healthcare marketing changes, so do their expectations. As consumers take increased control over their health and making purchasing decisions, the desire for better packaging is sure to follow. In the example on this page, Minnesota’s Sunrise Packaging used conventional techniques to design custom boxes that are unique and user-friendly. Magnetic closure is easy for hands of all strength to use while keeping contents secure. The decorations are also kept to a minimum, not detracting from the product but adding to it. Additionally, the custom foam insert keeps the product safe and padded. Users want packaging that meets their needs and expectations. The best way to do that is creating a style that is recognizable while innovative. We’ve got the tools to make this happen for you! Custom magnet boxes are perennially popular. People love them because, well, if I had to make a wholly-unscientific guess, because magnets are cool. Everyone has memories of being a kid, maybe at home or at school, and being fascinated by how such a simple material could have such a strong pull. The attraction (pun slightly intended) carries through to adulthood. We might sit and play with magnets on the fridge now (although the popularity of magnetic words might indicate otherwise), but we have new outlets for our magnet-fancy. Sales kits can come in many forms. 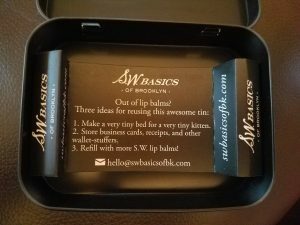 We’ve written about them before, but there’s a strong argument to be made for using custom magnet boxes for your sales kits. By definition, a sales kit is a case or folder containing information about your firm or product. It usually contains promotional materials, like brochures, books, samples, maybe a demo on a CD or USB drive. We might argue that all of this sales support material is only as good as the container that holds it. 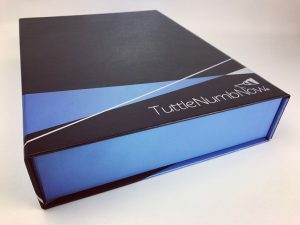 Delivering your marketing collateral in a flimsy folder or a cheap, easily-dented box doesn’t quite send the message you want, does it? So the first step would be to increase the quality of your materials. You wouldn’t skimp on your product; don’t skimp on your sales kit. This is a piece that needs to project your values and the quality of your product. 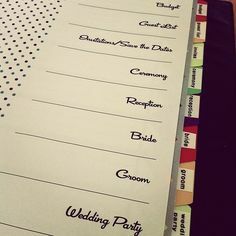 It also needs to capture the imagination of your prospective client or customer. What better way to do that than to tap into a rather specific childhood fascination? Our flagship Netboxes are custom magnet boxes with the layout of a hinged cigar style box with turned edges and a magnetic flap closure. The outside can be customized to the nth degree with digital print, embossing, custom foil stamping, and other options. Add protection and surface space for more content with a sleeve over the box. The inside creates a veritable stage for sales support materials. Level up by adding custom inserts, like thermoformed trays or foam inserts. 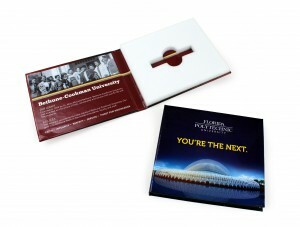 We can create an insert that ensures that your marketing pieces are held in place perfectly. What’s more pleasing than a well-curated and organized sales kit? Custom magnet boxes are great not only for sales and marketing kits, but any customer-facing collection. Influencer marketing kits are quickly growing in popularity, and utilizing a magnetic box could be a great way to ensure a highly regarded unboxing on Instagram. Whatever business you’re working to grow, we can help you help you get there with well-crafted sales kits. Especially when it comes to custom magnetic boxes! The market for handmade goods has never been hotter, and websites like Etsy are reaping in the benefits. Etsy is an online marketplace specializing in handmade, craft or vintage items as well as supplies. It’s relatively easy to use for both sellers and buyers, and numbers attest to that. In 2014, Etsy had over 50 million registered users, and total sales reached nearly $2 billion through the platform. With that kind of bandwidth, it might sound challenging to break through the noise as a new seller. But that’s where Sunrise Packaging comes in (locally owned in Minnesota). Etsy custom packaging is one of the best ways to retain and attract customers. This outlet as a seller recently came to my attention when I purchased a small ring from an Etsy seller. It’s not a particularly expensive item, not vintage or anything else like that. I was incredibly impressed by the seller’s attention to detail when it came to packaging, though – so much that I realized how important packaging is, and how that fact might escape the attention of new sellers. Etsy hits the ground running with a primer on branding. It’s incredibly important to help customers remember your business in every possible way. Crafting creative labels not only helps your business stick in their mind but makes it more likely that they’ll pass your name on. 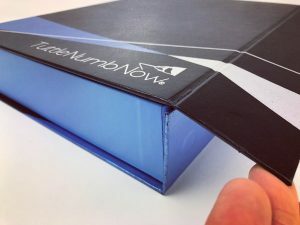 Utilizing finishing options like debossing, embossing and other features help ensure that this will happen, or utilize a sleeve box to add some labeling. I couldn’t find hard numbers on what percentage of Etsy purchases are gifts, but the number is probably pretty great. Packaging that is gift-ready takes one part out of the process for your buyer. 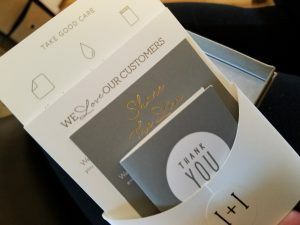 Besides, even if it isn’t intended as a gift for someone else, it’s kind of awesome to make the customer feel a little indulgent, like they’re getting a gift for themselves, isn’t it? When it comes to classic gift style, a two piece set up box is perfect. The last thing any seller needs is to mess up an order. Like Etsy reiterates: how inclined are you to return to a seller who messes up your order, or doesn’t package it correctly to withstand shipping? Probably not very likely. Take the time to consider if you need any custom inserts, and the protection products might need. Thermoforming or custom formed trays might be a great way to go. Ordering things online is like the grown up version of Christmas morning. You know packages are coming on a certain day, so the expectations are even higher when you know what to expect. Let every delivery of your product generate that kind of excitement!